He was convicted of 10 counts of Armed & Attempted Robbery and 1 count of Attempted First Degree Intentional Homicide. Party-to-a-crime to all counts. The enormous 130-year sentence he received does not make sense and he also needs to be aided in getting that reduced.. The above statement tells of his changes- he is not the man he was at 18. He has loving family waiting for him and begs for a second chance. The above statement tells of his changes - he is not the man he was at 18. He has a loving family waiting for him and begs for a second chance. We as taxpayers and concerned citizens petition those listed above to use their power to see that Lawrence Williams gets thorough and fair Parole Consideration. He was convicted of 10 counts of Armed & Attempted Robbery and 1 count of Attempted First Degree Intentional Homicide. Party-to-a-crime to all counts. The enormous 130 year sentence he received does not make sense and he also needs to be aided in getting that reduced. We believe that this man should no longer be in prison and 130 years is an outrageous sentence especially for a party to a crime offense. It is a waste of A life and taxpayer’ money and he is needed out here. He is young and vigorous and will be an inspiration to the Black youth in this state who are suffering from lack of positive male role models. Why waste funds holding people like Lawrence who are rehabilitated at the same time we release truth in sentencing prisoners willy nilly, many without treatment and no sign of rehabilitation many TIS prisoners are asking for treatment and are not getting it because of overcrowding and lack of funding . There are 150 on the waiting list for drug treatment at any one time, for example. This is inexcusable. 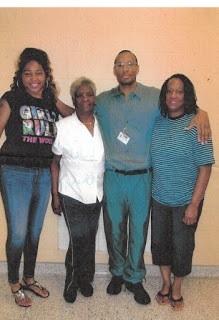 Begin to free up the space and funds by releasing this rehabilitated man please. He will be pursuing a sentence reduction and we ask you to support him in this effort.